American RTL has worked with state personhood leaders to develop a set of talking points for use in defending personhood and answering typical objections. Please send us suggestions for improvements and additions. Why is Abortion Wrong? Abortion is wrong because it's a baby, and it's always wrong to intentionally kill a baby, and that's because children are made in God's image and God said, "Do not kill the innocent." Persons not Property: Please support personhood because then the term 'person' shall apply to every human being from the beginning of the biological development of that human being. 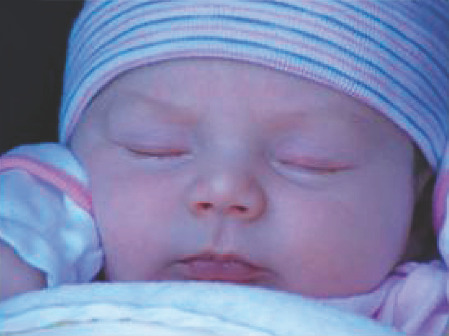 Snowflake Children: This baby girl was adopted, like all the snowflake kids, as a frozen embryo. A snowflake child is one of the strongest proofs that the single-celled human is a person. Little Elisha Lancaster, frozen for years, appears in an online personhood video with her mom Maria. Elisha was fully alive, fully human, and not a boy but already a little girl, at the very moment that she came into existence in a laboratory. 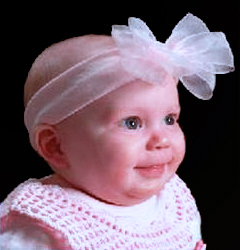 Then, four years later, this tiny person was adopted, Federal Expressed across the country, and implanted in mom’s womb. Will the Personhood Amendment Stop Abortion? Our law prohibits the intentional killing of an innocent person. So yes, the illegality and unconstitutionality of abortion will finally be evident. What about Roe? See Dred and Roe v. Wade below. Isn’t It Part of the Woman’s Body? When the mother tragically dies, oftentimes the baby survives. So the body in your body is not your body. Half the time the fetus is a boy. Always the mother is female. Her son’s Y chromosome cannot be part of mom. So from a single cell at conception he's a genetically distinct individual. And whether it's a baby boy or girl, the baby is not the woman's body, but has his or her own body within mom. A comprehensive list of all the glands and organs in the female body does not include an embryo. Many such observations can help "pro-choicers" soften their hearts to see that a person is a person no matter how small. For example, the unborn baby’s first cry for food is actually a pheromone signal, from one organism to another. A hormone is a chemical signal between glands or organs within an organism, but the baby’s request is a human pheromone. So while still in the fallopian tube and traveling toward the womb, the fetal cry lets mom know the baby’s already hungry! Would a Mother Be Arrested for Miscarriage? That claim is called fear mongering. History demonstrates the truth. When the nation recognized abortion as illegal, the authorities never arrested a single doctor or woman for a miscarriage. Today in the 21st century keep your eyes open for such fearmongers who will become ecstatic if they find a woman somewhere prosecuted for child abuse for something like addicting her unborn son or daughter to crack cocaine. What About Bodily Autonomy? If there were no God requiring parents to care for their children, then abortion would not be wrong. You lose bodily autonomy when you become a parent. And a man and woman become parents when the woman conceives. As a parent, for your child to survive both in and out of the womb, he will require your physical body. He or she will also require your emotions and finances, again both in and out of the womb, for survival and well-being. Killing your child at any time is wrong. Any parent who does not want parental responsibility might find another person to transfer the responsibility to, but they are not free to kill their child. Won’t This Outlaw Contraceptives? No, recognizing personhood has no effect on contraceptives that only prevent fertilization. However, personhood would prohibit any chemical abortifacient that kills the tiniest boys and girls. 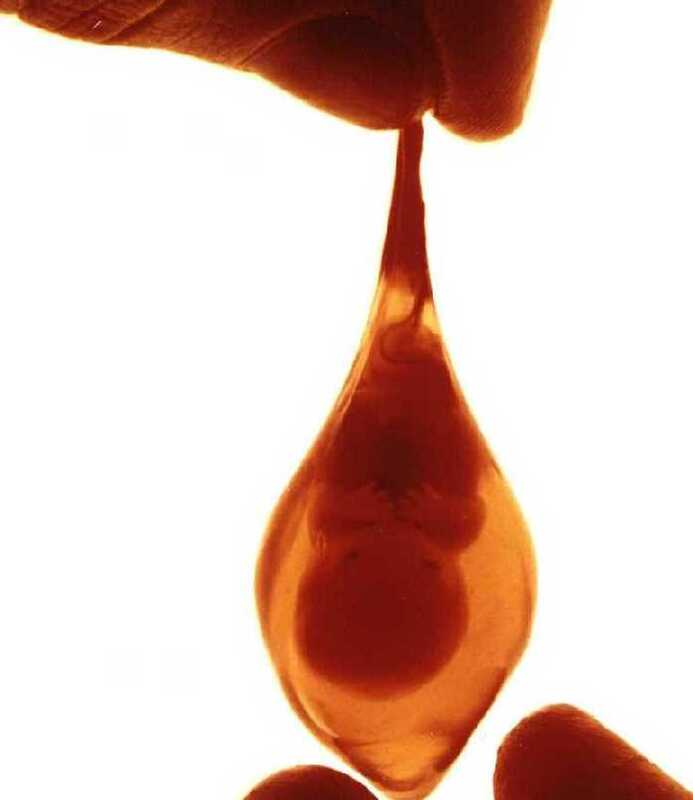 When the abortion industry says that personhood would outlaw contraceptives, they’re either lying now, or they were lying then, for they’ve spent decades telling women that such chemicals did not kill a living embryo. Women should know whether or not a chemical would abort their children. Passing the personhood amendment will end these lies. Won’t This Outlaw IVF? No, recognizing personhood does not prevent bringing children into existence. It would however prohibit the intentional killing of any child, regardless of the circumstances of that child's coming into existence. There are no absolutes! Rebuttal: Absolutely? Only your five senses provide real knowledge. Rebuttal: Says which of the five? Only the physical realm is real! Rebuttal: That claim itself is not physical. Dred and Roe v. Wade: The failed approach for four decades to get the U.S. Supreme Court to right its own wrong and reverse Roe v. Wade is not surprising. Why not? Because the Justices have referred to their 150-year old pro-slavery Dred Scott decision 56 times without the court ever admitting to the illegitimacy of that ruling’s crime against millions of people. And ‘pro-life’ presidents say they ignore abortion when nominating judges, who serve for life. The court might not reverse itself for centuries. But Roe itself says that if “personhood is established, [abortion] collapses.” Yet some think it’s “the wrong time” because the Court is not ready to admit the illegitimacy of its abortion ruling. But after a war, a constitutional amendment, and abolition, the Supreme Court still has not acknowledged its illegitimacy for denying full personhood rights of black slaves. Abolitionist William Wilberforce would never have opposed those fighting for abolition and he urged the U.S. to fight to end, rather than to regulate, slavery. It’s never the wrong time to do the right thing. Fetus Recognized as a Child from the Beginning: 3,500 years ago the Mosaic Law in the Bible recognized the unborn child as a person (AmericanRTL.org/Bible). 2,400 years ago the “father of medicine” wrote in the Hippocratic Oath, “I will not… cause an abortion.” Moms have always talked about the “baby” in their womb. And throughout history the child’s amazing development has been known through miscarriage (which is tragic but a natural death, as contrasted with abortion which is deliberate murder). And today 4D ultrasound shows for all to see what has always been known, the precious humanity of the child in the womb. Abortion is wrong because it’s a baby; it’s always wrong to intentionally kill a baby. So please vote YES on Personhood! Find Out More: At C-SPAN.com you can find more answers to Planned Parenthood’s arguments against the unborn child. Just search for personhood amendment. Talking Points Artwork: Colorado's 2010 personhood campaign flyer (and in a camera-ready tri-fold) and for Maryland personhood effort. ARTL would be honored to have one of our artists customize a Talking Points flier for your campaign or organization.